Run Mommy Run : You did what? So a few months ago A good friend of mine and I decided we wanted to run Ragnar Trail Zion. We put out a plea on Facebook asking for teammates. It didn't take long and we had a team of 8. Fast forward to a week ago Friday and we were on our way to the Zion Ponderosa to run Ragnar Trail Zion. 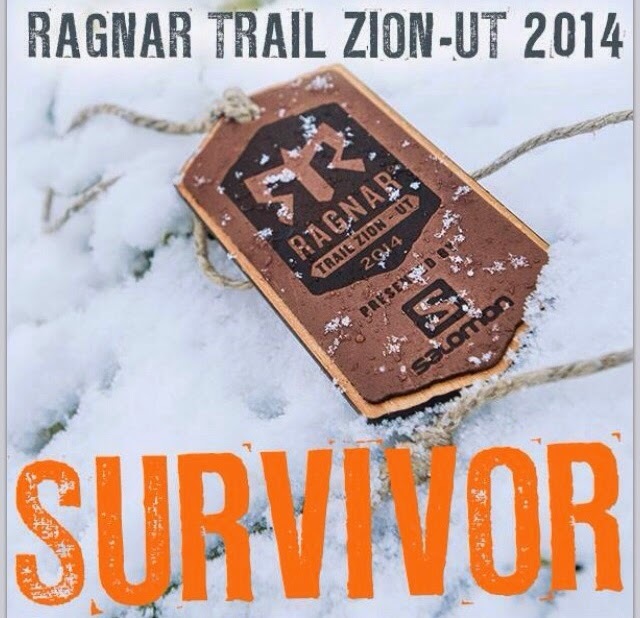 Not only was it a first for all of us but we found out later it was a first for Ragnar Zion. It became the biggest trail race to date for them. How awesome to be a part of it. I am proud of what I ran. I have never ran trail before. I am not to proud of my time. Let's just say I ran the green loop which was 4ish miles and the red loop which was 8.2 miles. I ran the red loop at night and it was the hardest thing I have ever done. We had the most awesome team of eight. The Redneck Rebels #hornyhunters. Make sure you use the hashtag. As you can see from the photo we got some snow. Around 2 am I heard the rain start. Around 6 am we made a group decision and it started to snow. We still had a runner out and we were worried sick. We were packing up camp when our runner came back in with the beginning of frostbite. Ragnar decided to cancel the race, another first, due to snow and safety. We all still got our medals. This race had it all. Sun, wind, rain and snow. Most of all it had FUN. Such a great group of rednecks. I loved every minute of it. Thanks Ragnar. Can not wait till next year. 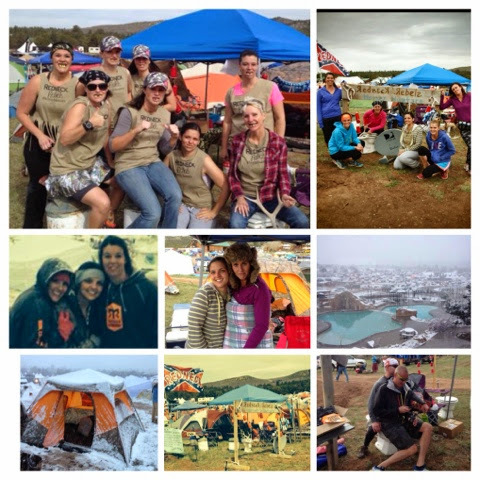 Have you ever done Ragnar Trail? 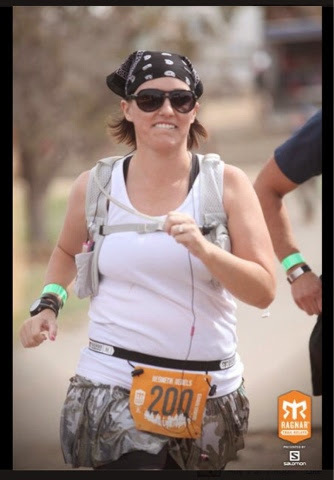 What is the hardest race ever for you?